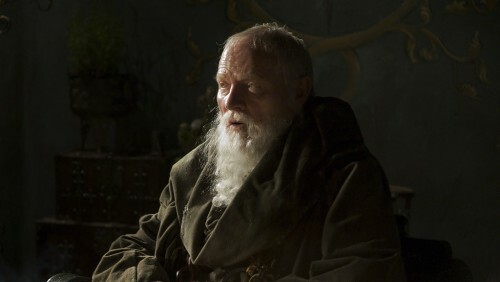 An old man in his sixties, the Grand Maester has served four kings, beginning with Aegon V. He is a stately, impressive older man, with a magnificent beard. He wears a maester’s robes, though of finer material than the norm, and his maester’s chain has a dozen other chains woven through it embellished with gemstones. The actor cast in the role is about 10-15 years older than Pycelle.